That is not something you normally hear! We are always told to keep learning. 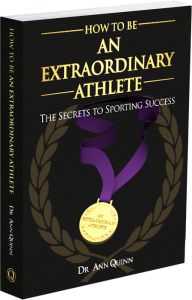 In fact I have devoted a whole chapter of my upcoming book to learning as I believe it is so important to success. But what should you unlearn? To be our best in sport and business, you need to look at what you need to change. Are you still operating on old beliefs or systems, old routines, or assumptions? Are you pushing the boundaries of what is accepted as possible? Are you constantly reviewing and evaluating the way you do things? Unlearning is a vital skill that can support performance. When I came fourth in the 1984 Los Angeles 100m breaststroke I was crushed. But by unlearning the over-reliance on myself and turning to the support of others I was able to bounce-back and win gold in Seoul in 1988. The most important lessons lay not in what I needed to learn, but in what I first needed to unlearn. Challenge yourself to unlearn something and be all you can be.